A home solar heating system capture the suns free energy for heating your home. Home solar heating utilizes the suns energy instead of conventional fuels. 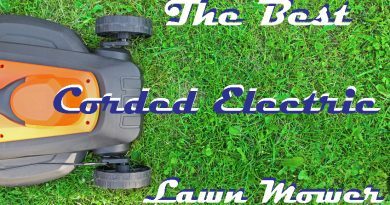 The benefits are low-cost, environmental friendly green energy. Solar home heating systems differ from solar electric systems. They generate electricity instead of heat. 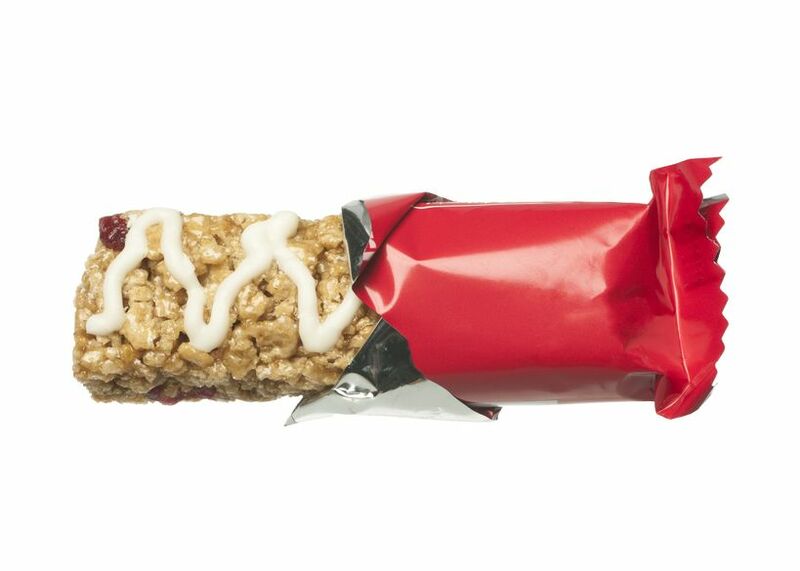 My goal is to explain the complexities of home solar heating in digestible bites. Today’s solar heating systems for home use are far superior to their predecessor’s. New and improved materials make for a more durable, efficient and environmentally friendly solar heating system. 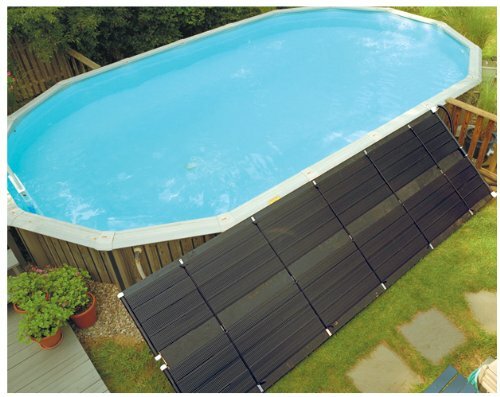 Solar Pool Heating is the most popular way to heat a private home pool today. Solar pool heater solar heating panels produce more solar thermal energy than photovoltaic and other types of solar heating combined. Based upon your hot water needs, the amount of sunlight available, solar tax credits and solar incentives plus your wish to invest in #solar energy. Answering the questions in the 5 – step checklist gives you some real good answers that will take you down the path to select a solar water heating unit right for you. Solar heating facts worth knowing. As the saying goes, “there’s nothing new under the sun.” So why do we consider solar heating a new technology? A car windshield captures solar energy heating the car interior. A car parked in the Sun with the windows closed demonstrates how a solar hot water panel works. The Sun’s energy is truly a renewable energy resource. Home Energy Conservation First: save money save energy — conserve and use less hot water, turn down the thermostat and insulate. Energy conservation comes first. Become an energy miser. Make home energy conservation your first priority. First things first. The cheapest and quickest way to cut your utility bill. Plug the energy leaks first. The good news is they don’t cost. Let’s get started. Solar heating systems heat water by capturing the suns energy then delivers the hot water for home heating uses like domestic hot water, heating swimming pool and radiant floor heating. A solar heating system combines components to best suit your climate and site. 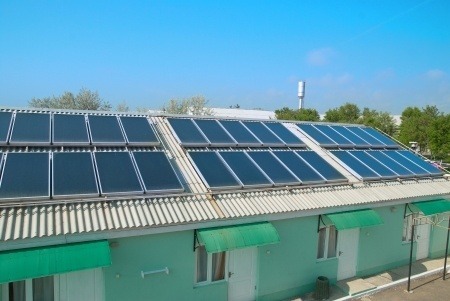 The solar hot water system converts the Sun’s solar energy to heat water. Simply put, a solar heating system converts the Sun’s solar energy for solar home heating. Solar heating systems are not all the same. First let’s understand the difference between an active and passive solar water systems. 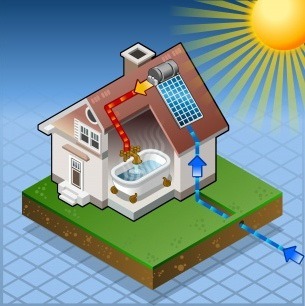 Active solar waters heating uses pumps and motors to move water through the systems. Passive solar water heating relies on gravity to move water through the system. Step 4: How Much Free Sunshine Do You Have Where You Live? Estimating just how much sunshine reaches the site where the solar collector is located is the next step. The site’s solar radiation potential or the amount of sunshine that reaches your home. Also, the amount of hot water you need to figure out the size of the solar water heater right for your home. The orientation and tilt of the solar collector or the solar collector angle and the amount of sunlight that reached the solar collector. Also affect performance. An onsite analysis by a solar professional can avoid potential problems. Freeze protection for solar heating systems is equally important. Inadequate protection from freezing can be fatal to the system! Aggressive freeze protection measures are necessary. Selecting a solar installer that has the ability to recommend the right solar water heating system for your home is essential. Selecting the right solar installer can eliminate problems later. Ask about their certifications and experience. 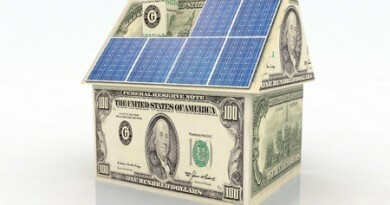 Step 6: Innovative Solar Finance Solutions? If you are like me… the first thing, I wanted to know was how much does a solar water heating system cost. What about incentives and rebates. You have some really good options to finance solar hot water improvement. One thing’s for sure… the availability of solar incentives cut the cost of home solar heating. Step 7: What Are The Social, Economic and Environmental Considerations? We should ask themselves what are our personal values toward community, economic and environmental conditions that contribute to energy sustainability. All of us going down the road for sustainability must ask ourselves just what really matters. If you only measure economic values couched in ‘cost-benefit analysis’ benefit analysis’ or ‘return on investment’ you likely will have no problem deciding not to go forward. Now consider what impact you are having on your environment. With the debate over “climate change” you can step up and invest personally in the solution to climate change and global warming. Community leadership is demonstrated when the “lead sled dog” sets the example for the rest of the community. 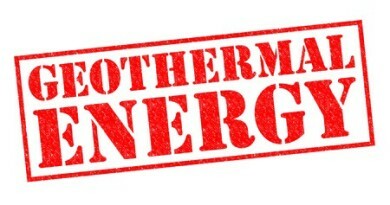 Next → What Is Geothermal Cooling & Heating? 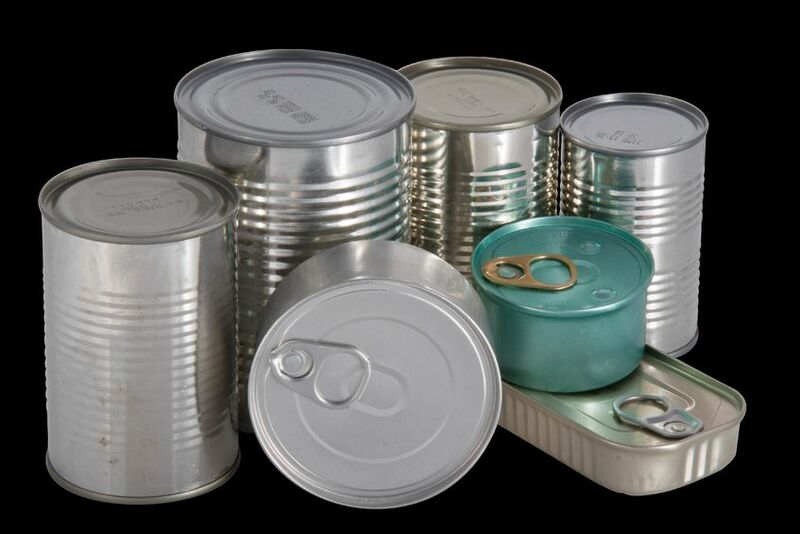 January 21, 2015 Backyard Refuge Comments Off on Emergency Food Rations: Don’t be left hungry!